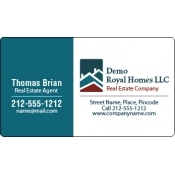 Real estate business card magnets are perfect for all types of real estate marketers who are trying to introduce their business or trying to keep it in front of their potential clients or existing clients. It suits all types of real estate businesses that are trying to stick their business information on easy-to-find places. 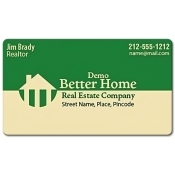 Realtors can easily stack these promotional magnetic business cards for tradeshows or they can stock it for future use. We offer free shipping anywhere within the contiguous USA. 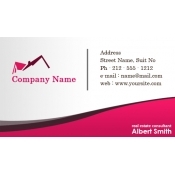 Business card is the first and genuine promotional item sought by business people to promote their services. 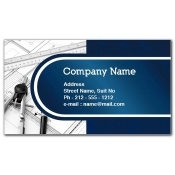 Although promotional business cards are criticized for their lack of reliability, still they are preferred for brand building. They are the first step towards building social recognition. 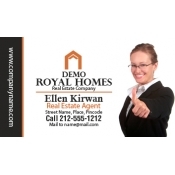 Today, real estate marketers are largely relying on realtor business card magnets to introduce their business. They know that people may not easily let it go because they know it will easily stick over refrigerator doors or other ferrous surfaces. 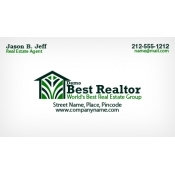 Business card magnets are offered at cost effective prices, which makes it a reliable promotional item for real estate marketers in all budget sizes. It does not matter whether you are into buying and selling houses, land buying and property development, selling home insurance or involved in any other real estate business, these promotional real estate business card refrigerator magnets are the one for you. 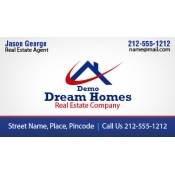 We offer free full color printing with all our custom magnets which enables real estate marketers to exercise their creativity without any additional charges. 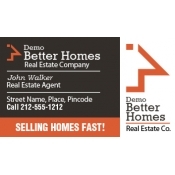 This means real estate marketer can print their logo, contact information and persuasive visuals in any color over these advertising magnets. 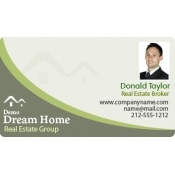 Promotional real estate business card fridge magnets make a great giveaway during real estate tradeshows or it can be offered at the time of booking or payment. For added benefits, realtors can combine these refrigerator magnets with any other real estate magnets from our collection such as real estate calendar magnets, real estate business card magnets, land calendar magnets, etc. 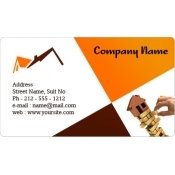 Small real estate agencies and businesses which are collaborating with other big real estate agencies can position these advertising magnets as complimentary gifts. We offer higher discounts on bulk orders and additionally, marketers can gain on shipping, art setup and online design proof. 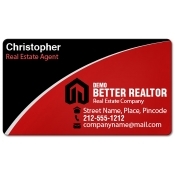 To know more about customization, pricing or other details about these customized realtor business card magnets, contact us at 855-762-4638 or write to us at info@cmagnets.com.